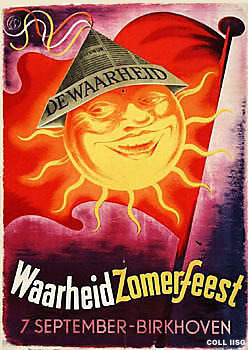 De Waarheid, the Dutch Communist Party daily, organized an annual summer festival that combined relaxation with politics. All texts and picture files on this site are copyrighted. They are meant for display on this site only. Nothing may be copied, duplicated, or distributed in any other way without prior written permission. More information can be obtained from the Services department.